There is a large gap between storage performance and capacity resources. Storage capacity is low cost but performance is often bound to capacity, making allocation of resources unnecessarily expensive. This makes delivering consistent storage resources to enterprise applications nearly impossible. 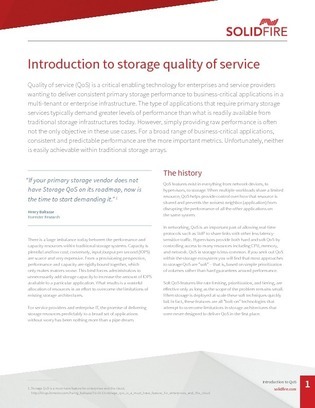 This white paper introduces the concept of storage quality of service, and argues how it can solve the performance/capacity imbalance. Read on to learn how storage QoS can help you allocate resources more efficiently and cut costs.